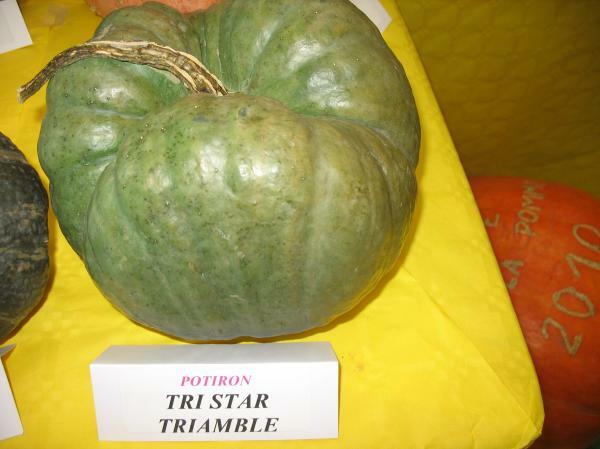 Triamble Squash is also called Triangle, Tristar or Shamrock. 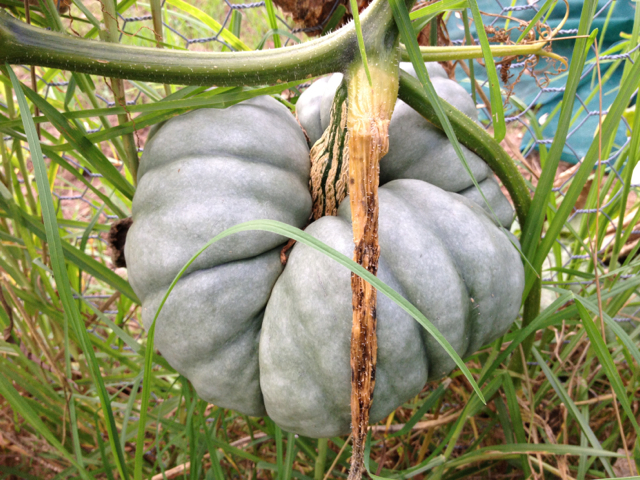 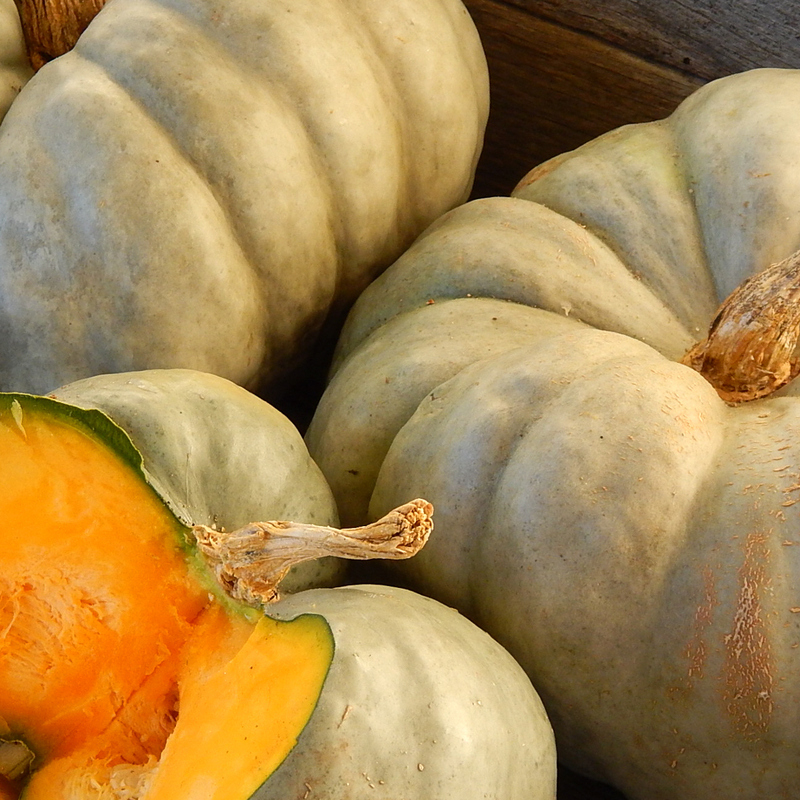 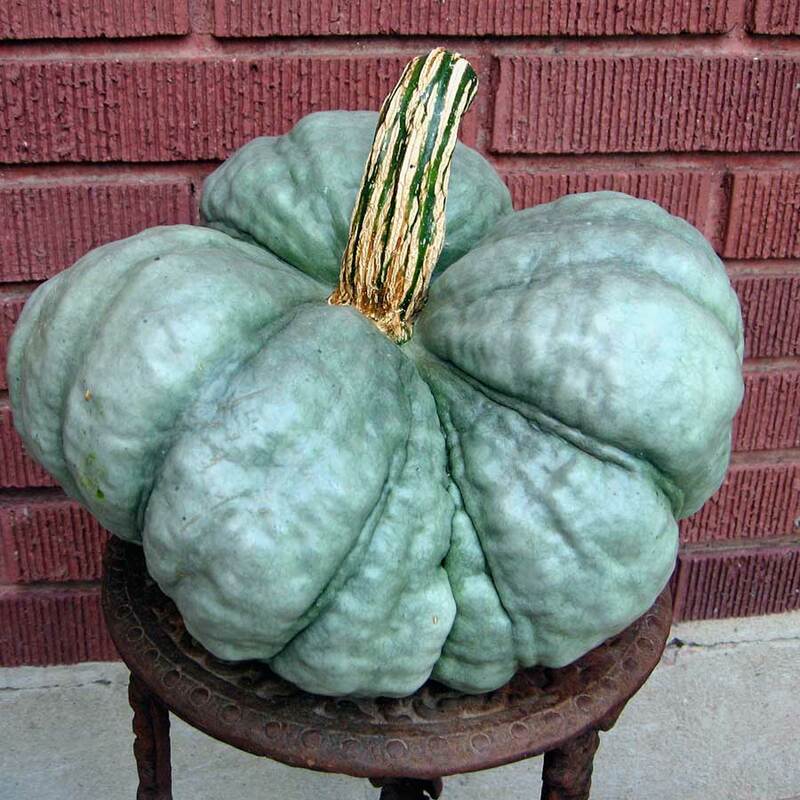 Triamble Squash made its first "known" appearance in an 1918 Australian Seed Catalog where it is said to have come from; and imported from Australia in 1932, from seed secured from Arthur Yates and Co., of Sydney. 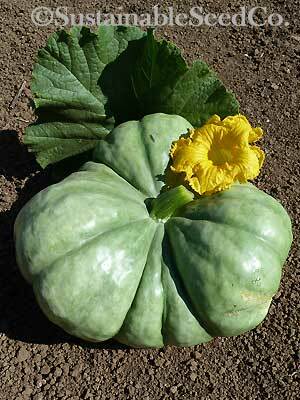 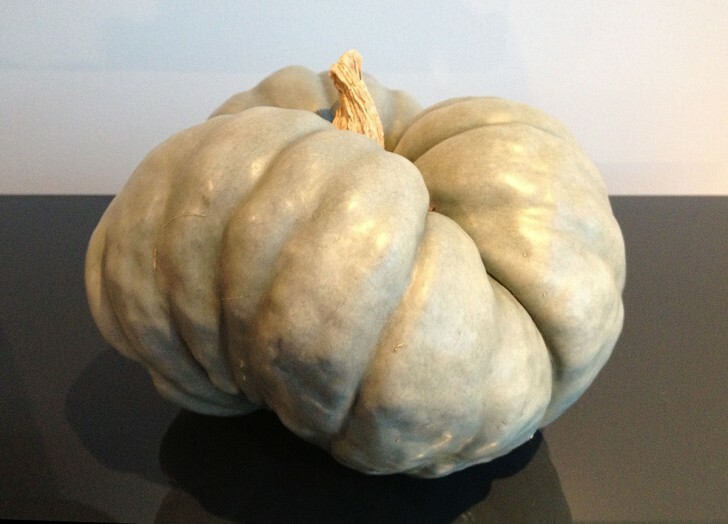 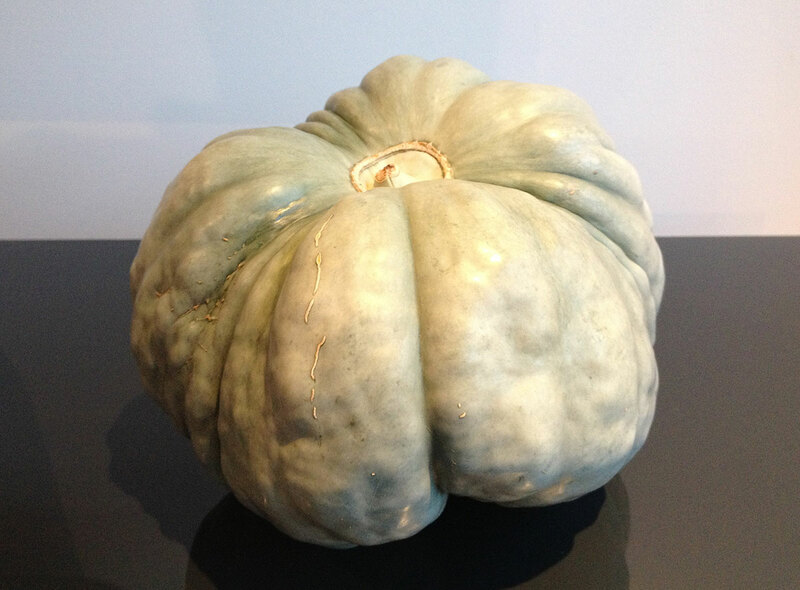 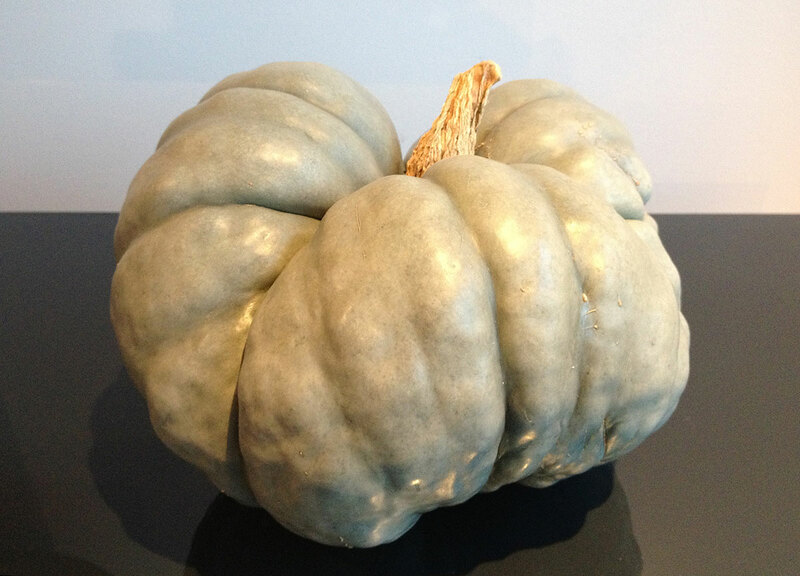 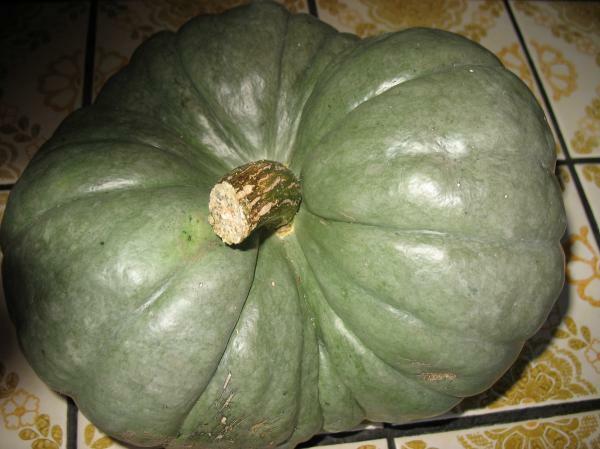 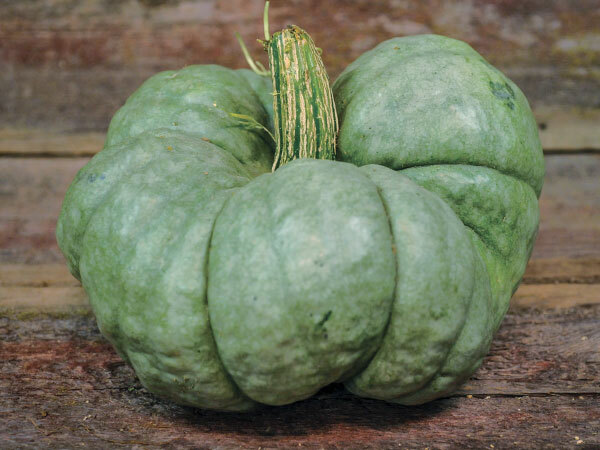 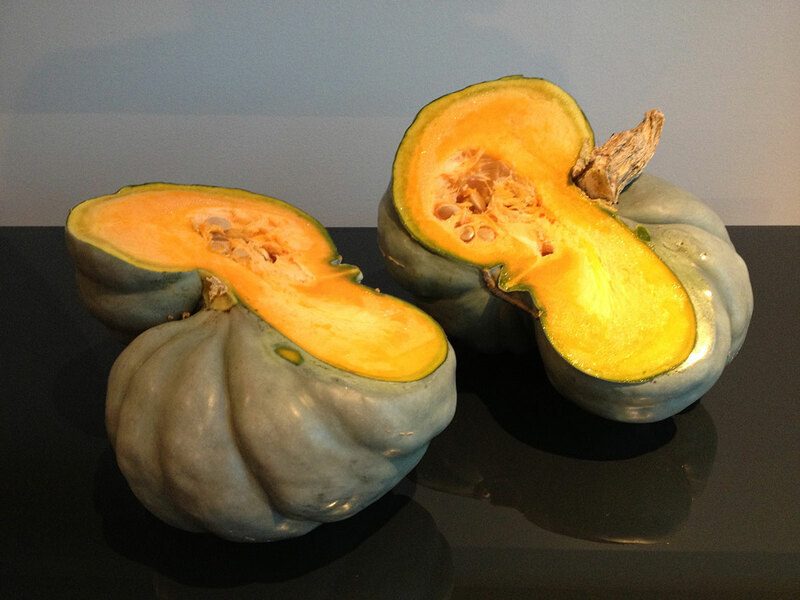 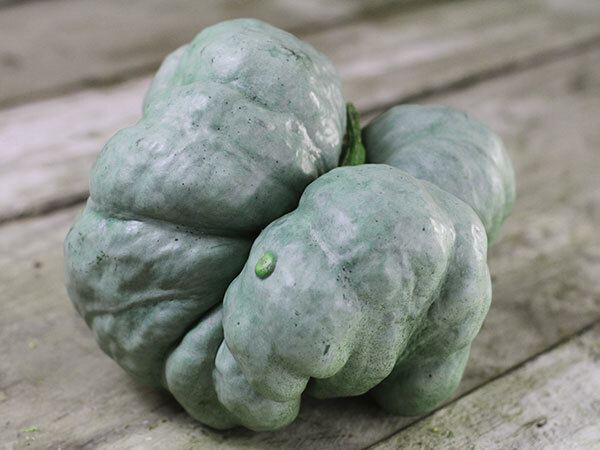 This squash is lobed like a three-leaf clover, making this light sea-green squash unusual looking. 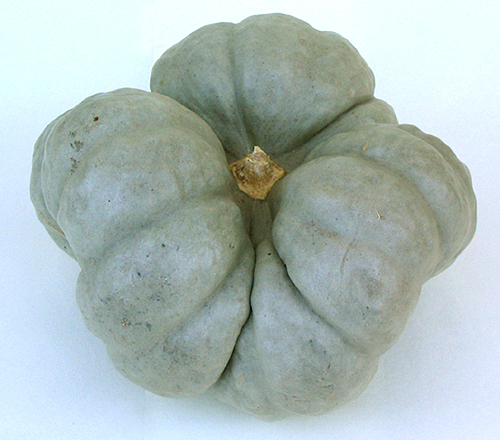 Skin is hard perfect for shipping and storage. 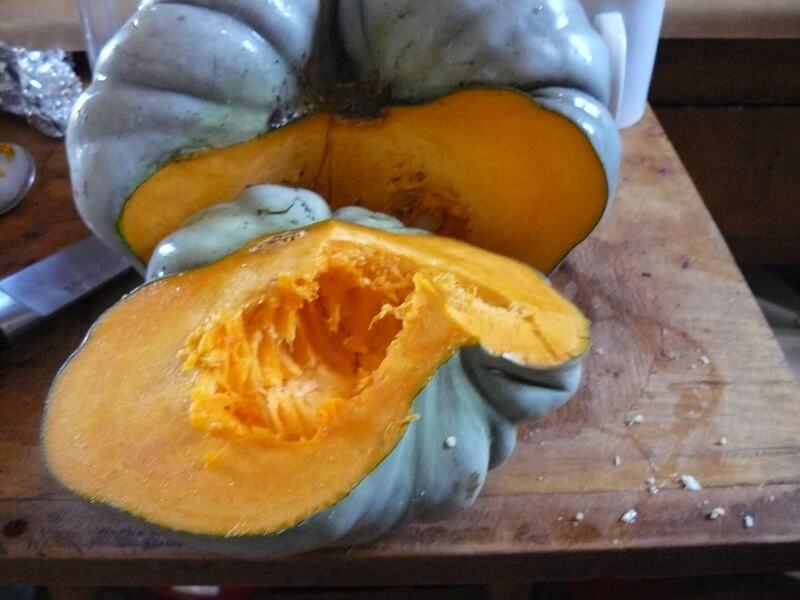 Triamble has a dark orange, dense sweet flesh that is delicious. 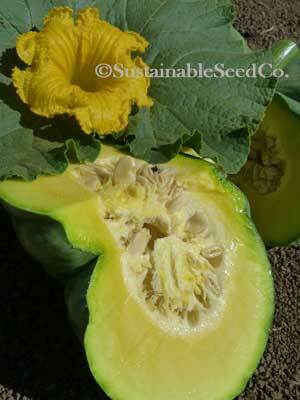 Average in size from 8-12 lbs Traimble has a very small seed cavity leaving lots of room for sweet flesh. 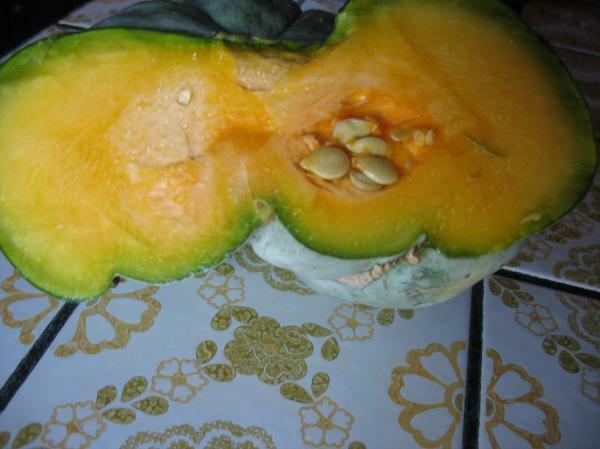 Some even eat it raw. 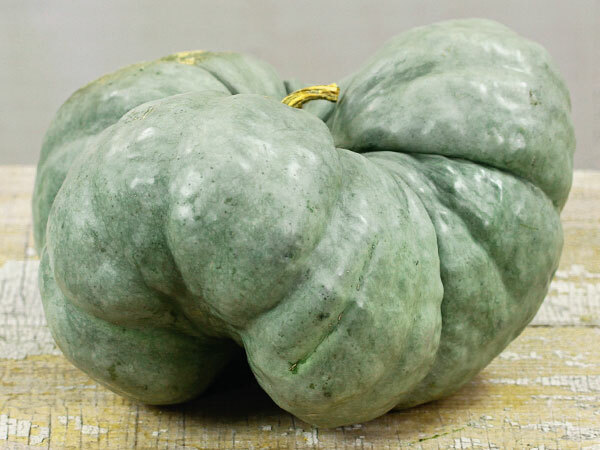 storage squash root sellerTriamble is an excellent storage squash. 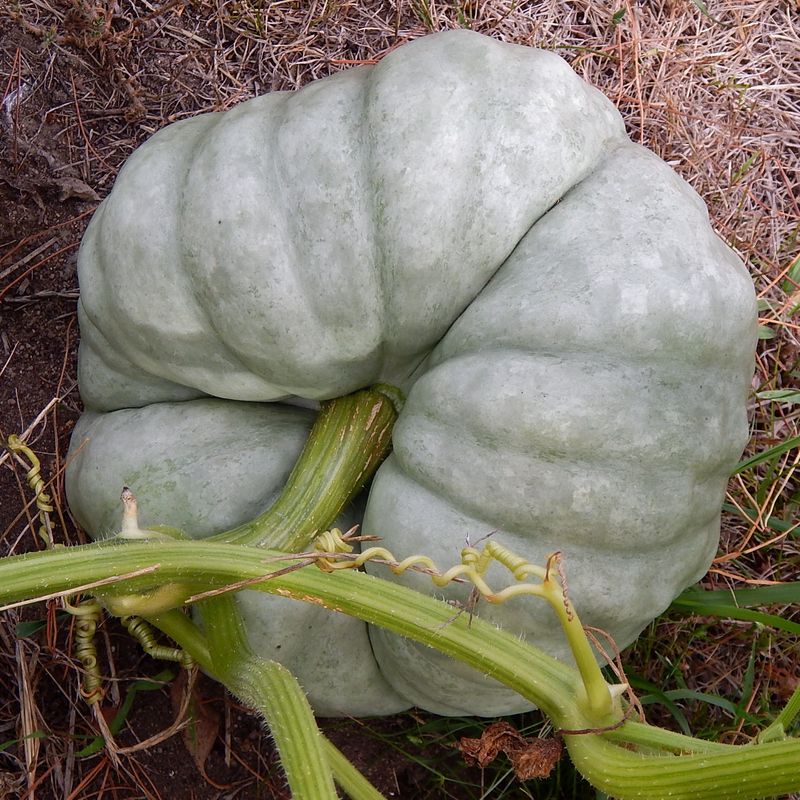 It holds its flavor and texture for many months. 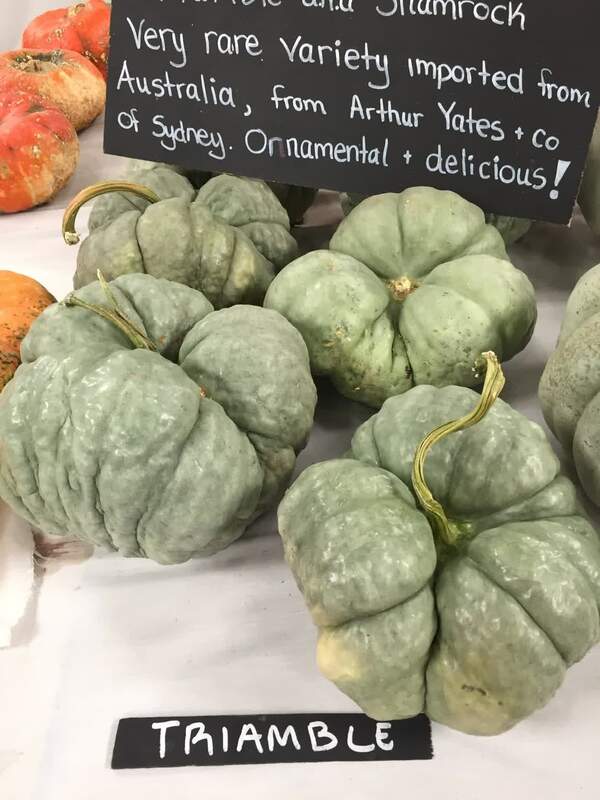 Connecticut:Amazing flavour, keeps 4 months. 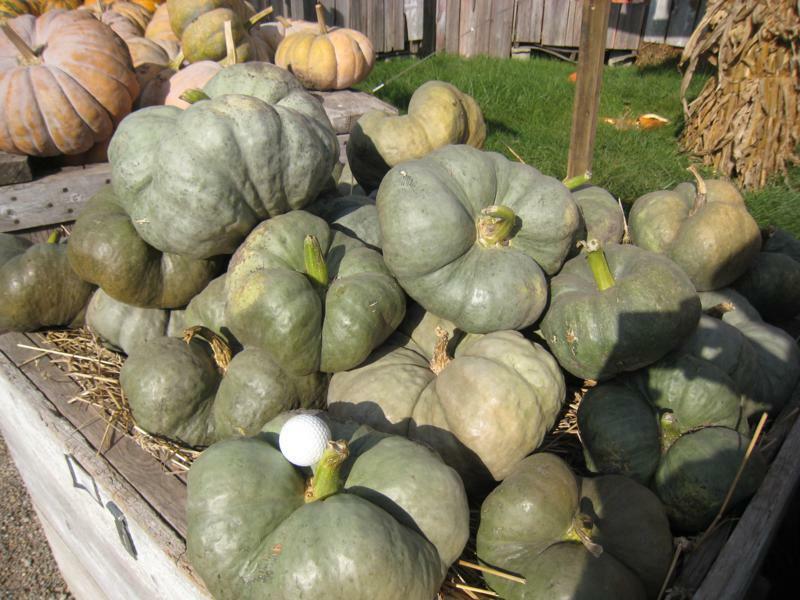 New Hampshire: Not as prolific.